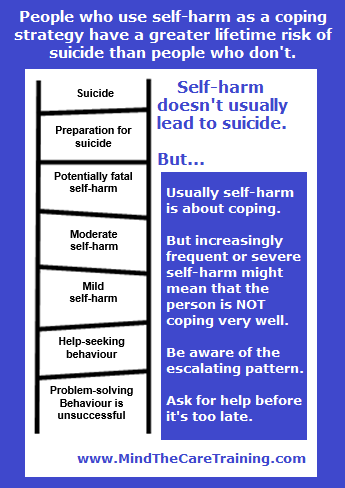 Do you find it difficult to deal with people who self-harm. Are your staff at a loss to know how best to respond? Download our free PDF today. While you’re about it – why not subscribe to the site too? That way you need never miss an article or an offer from Mind The Care. It’ll all be sent by Email straight to your inbox.